The globular body and cylindrical neck are moulded with horizontal bands. 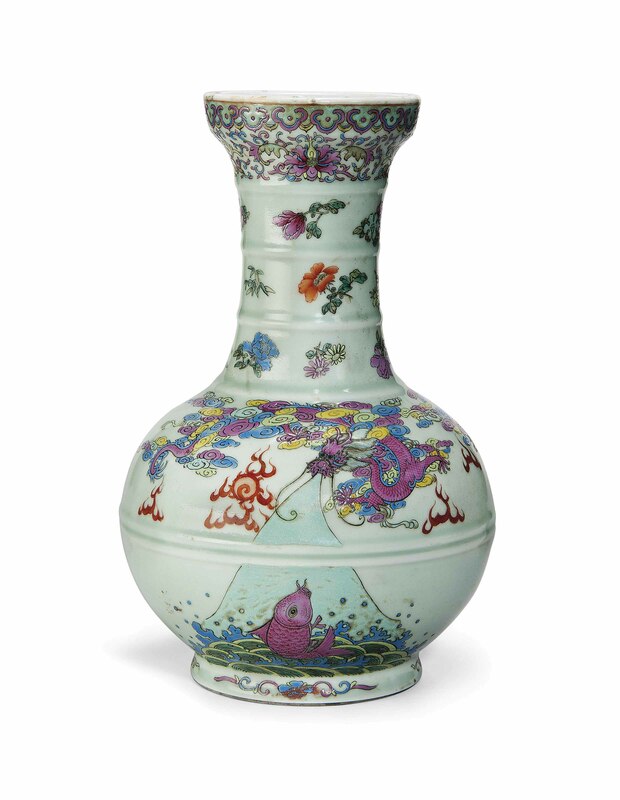 The vase is decorated in famille rose enamels with a confronting dragon and carp, below scattered flowers at the neck and a flower and ruyi band around the wide mouth, all reserved on a celadon ground. The base has an apocryphal Qianlong underglaze blue six-character seal mark.